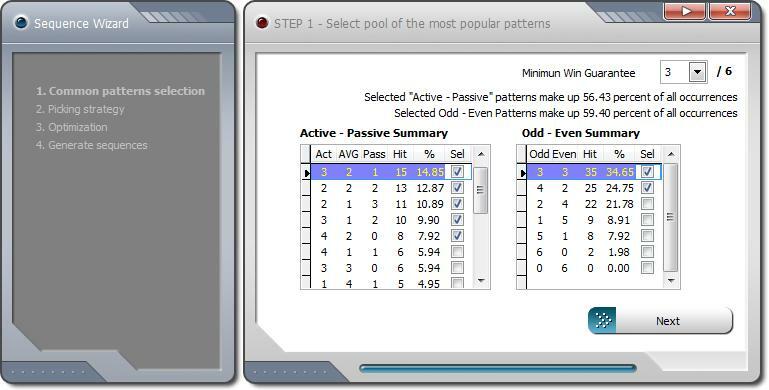 LOTTOtoolkit will help you pick winning numbers using frequencies, draw patterns, statistical reports. LOTTO ToolKit works with almost all lotto-type lotteries. LOTTOtoolkit is the most popular lotto software using probabilities for prediction. LOTTO ToolKit has the ability to create almost any wheeling system. The software will even: automatically download the latest draw results, pick numbers for the next draw, create a wheeling system. Play lotto games with almost any wheeling system you want. Lotto software can significantly increase your chances of winning. Having a good lotto system is essential to Win the lottery. LOTTOtoolkit will help you pick winning numbers using frequencies, draw patterns, statistical reports. It works with almost all lotto-type lotteries. LOTTOtoolkit is the most popular lotto software using probabilities for prediction. It has the ability to create almost any wheeling system. Qweas is providing links to LOTTO ToolKit 1.2.3 as a courtesy, and makes no representations regarding LOTTO ToolKit or any other applications or any information related thereto. Any questions, complaints or claims regarding this application LOTTO ToolKit 1.2.3 must be directed to the appropriate software vendor. You may click the publisher link of LOTTO ToolKit on the top of this page to get more details about the vendor.